Special Announcement (January 2016): Our practice books are open and we are now welcoming new patients! Situated in the southern Tasmanian suburb of Blackmans Bay, Dr Lad's Surgery is a Family Medical Practice offering high quality medical care to the community of Blackmans Bay and surrounding areas, including Kingston, Maranoa Heights and Huntingfield. Dr Ulhas Lad and his wife, Dr Geeta Lad, provide comprehensive Family Medical Care five days a week. Dr Lad's Surgery is Fully Accredited by AGPAL. Accreditation is a new process to Australian General Practice, certifying that medical practices are equipped and work to nationally determined standards. 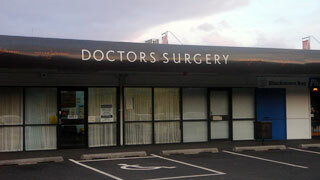 Dr Lad's Surgery is a fully accredited General Practice.